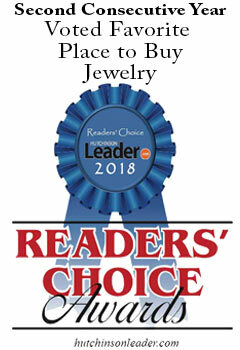 "Your Locally Owned Independent Jewelry Store Since 1913"
Hager Jewelry has a nice selection of fine watches for both men and women from Bulova, Wittnauer and Caravelle New York. Bulova, an American brand, is known for its innovation, craftsmanship and advanced technology. Since 1875, when founder Joseph Bulova opened his store on Maiden Lane in downtown Manhattan, Bulova has remained true to his legacy—mastering the classic art of timekeeping while always embracing the future. Visit Bulova’s site today to select your piece of history. Contact us with the style number and your timepiece will be on its way. 143 year heritage: New York City, 1872. Albert Wittnauer, a 16-year-old Swiss immigrant, starts working for his brother-in-law importing fine Swiss watches to New York. Visit Wittnauer’s site today to select your legacy. Contact us with the style number and your timepiece will be on its way.